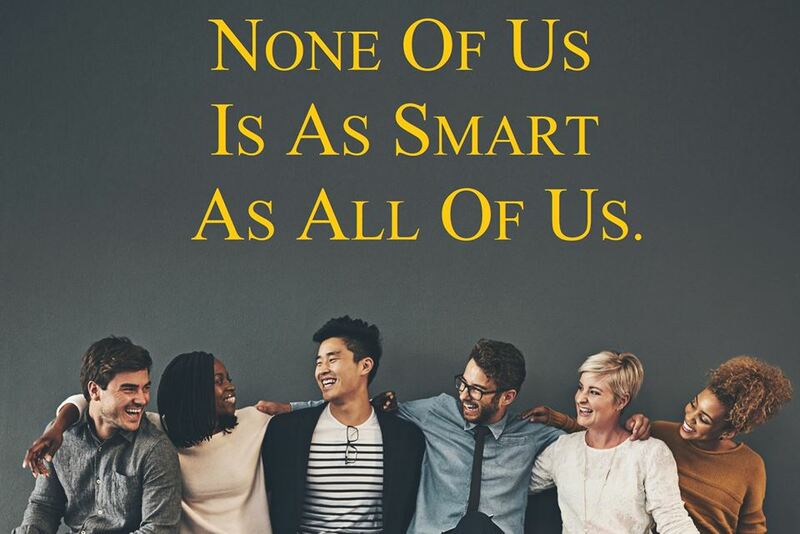 One of my favorite quotes is “None of us is as smart as all of us.” Two of our company’s cofounders, Don Carew and Eunice Parisi Carew, came up with that simple truth when they coauthored our team leadership program. It’s one of the basic tenets for building and maintaining high performing teams. When Renee Broadwell and I edited Servant Leadership in Action, we surrounded ourselves with great people—our book’s contributors. Now, as Martha Lawrence and I edit the third edition of Leading at a Higher Level, we also are surrounded with great people—our company associates. So think—who do you surround yourself with? Who do you walk with?